As a holistic, forward thinking, chiropractic clinic, we focus our attention primarily on chiropractic care. In addition, we offer other services we feel may be of benefit in aiding your pain relief and recovery. Just because you might feel normal or have no pain doesn’t mean your body is functioning properly. Heathcote Chiropractic Clinic strives to utilise the most up to date technology to provide patients like you with the best service and care possible. We focus primarily in the Activator Methods® technique, a low-force instrument adjusting technique that is very gentle. Craig Scott-Dawkins, Registered Chiropractor, has been an Advanced Proficiency rated Activator® chiropractor since 2003 and has been teaching other chiropractors since 2007. He has presented seminars in the UK, Ireland and France since 2007 as a Clinical Instructor for Activator Methods® International (AMI). In 2014, he was appointed Regional Director of Europe for AMI. This scan in addition to a Biomechanical assessment may give an indication as to why you may benefit from orthotics. It can show if one foot is functioning differently to the other or areas where there is high pressure in your feet. Craig was the first chiropractor in the area to introduce GaitScan™ foot scanning technology in 2004. He has been assessing feet and using orthotics since 1998. A structured exercise programme may be of benefit to your recovery. Initially stretches to focus on flexibility and mobility and thereafter, strengthening exercises . Once your condition is stable, we’ll encourage exercises like Pilates to help stabilise you so you can stay well. The performance of regular physical activity and exercises has enormous positive benefits to your general health and also in aiding your recovery from spine and joint pain. The maintenance of home care exercises is a vital part of your recovery process and can help minimise the risk of future recurrences. In order to be effective, they need to be done on a regular basis and for sufficient length of time. We’ll formulate an exercise programme dependant on your condition and tailored toward aiding your recovery as quickly as possible. We’ll also help you learn ways to help yourself. We may utilize different taping techniques , like KT, Kinesio or Functional taping to aid your chiropractic care if deemed appropriate. This is a specially designed tool which may be used to assist in treating muscle, ligament and tendon problems (soft tissues). It can help to release tension and improve blood flow to the area. It has been widely used in sports injury treatment and was used on some athletes in the 2012 Olympics. This may be used to aid soft tissue healing and reduce pain and inflammation. It has been widely used in sports injury treatment, particularly in the USA. 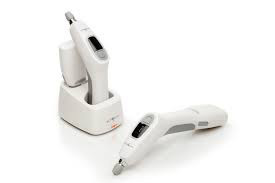 We are one of a handful of clinics in the UK to have the benefit of the MR2 Cold laser from Multi-Radiance Medical. We can offer advice on making smarter choices when it comes to diet and lifestyle. This is currently the only device which enables the muscle tension around the spine to be evaluated in the standing posture. This is important because muscles have a tendency to brace in response to spinal joint dysfunction. These dysfunctions may create nerve interference which can affect muscles around the spine. Our goal is to detect and correct these dysfunctions through adjustments. We offer Swedish Massage and Trigger Point Therapy. Craig is trained in Swedish massage and trigger point therapy. If appropriate, Craig will make a referral for any other services he feels you may benefit from. Whether the referral is for a private MRI scan or to see your general practitioner, we’ll keep your best interests in mind and help you get the care you need. To see how our team can help, give us a call so we can set up a time to meet.